The Internal Audit Department in the Ministry of Finance, has ended a six days training of Internal Auditors Across Ministries, Departments and Agencies (MDAs) on Computer Assisted Audit Techniques ( CAATs). The training started on Tuesday 10th July 2018 at the British Council. The training was sponsored by the Public Financial Management Improvement and Consolidation Project (PFMICP) through funds donated by the World Bank. It should be noted that the Public Financial Management (PFM) Act 2017 Section 75 (2) , stated an Internal Audit Department, Division or Unit of a Budgetary Agency or other Entity established under Section 75 (1) shall ensure strict adherence to all control procedures introduced to safeguard the assets and records of the agency or entity and also to make periodic reports on audits completed. The introduction of the Integrated Financial Management Information System ( IFMIS) and the installation of the free balance Software to aid Public Sector Accounting and its subsequent roll out to large spending MDAs makes it very important for Internal Auditors to be abreast with Computer Assisted Audit Techniques (CAATs) so that subsequent audits can be undertaken effectively and efficiency. It should be noted that effective Internal Audit of Government Departments and Agencies is key to maintaining financial accountability and transparency in Government. The regular conduct of through internal audits is both fundamental to the survival of any organization as well as a critical tool in ensuring an organization’s ability to prosper and succeed. 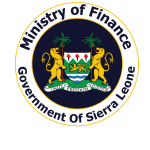 This increasing importance of Internal Audit is evident in the growing trend in Public Financial Management (PFM) reform programmes in Sierra Leone as a developing country that actively aims to improve the depth and quality of their Internal Audit profession. The training on CAATs also contribute positively to the creation of electronics working papers on a centralized audit file or data base which will allow the Auditors to navigate through current and archived working papers with ease, thereby improving budget planning, financial control, accountability and oversight in government finances. In an interview with the Consultant Moses Onyinyeoma Ugorji, he told the PFMICP IECMO that the training was about Audit Command Language (ACL) analytics which is a brand name for the software that is used for Data Analytics, which was initially known as Audit Command Language. He said the software is used by different professions such as IT Departments, Finance Departments etc as it is important for Data Analytics, stating that every transaction in organization results in data, which helps identify trends, analyze data in order for people to review their business application to ensure that the business policies are been processed by the application in the desired way. Consultant Moses Ugorji added that data analysis reviews data based on the internal policies of the organizations and regulatory policies. He pointed out that the soft ware can be used to do analysis to identify cases of fraud and that it is also useful for organizations carrying out revenue assurance of their system. The Consultant maintained that the software will empower the Internal Audit Department to automate their process, and seamlessly review large volume of Data without any constraints. He said the software will enable the Auditors to have independence as the profession requires. He said ACL analytics ensures that the source Data is safe from alteration. . 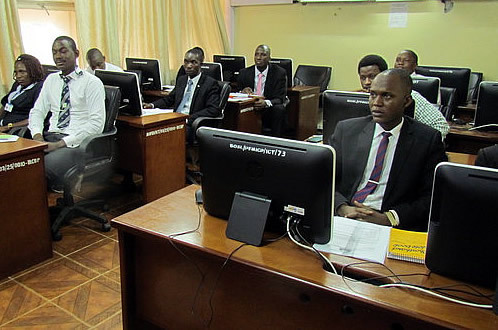 The Director Internal Audit Department in the Ministry of Finance Kandeh Sesay, stated that they wanted to empower the Auditors to be able to access Data directly from all MDAs, so that they will import data directly from their system and do the necessary analysis and come up with conclusion at the end of the day. • Procurement transaction when processed is stored in the database, stating that with the Audit Common Language ( ACL) when it is installed in the computer will actually interface with the Database used by the Accountant General’s Department. Director Kandeh Sesay, maintained that the training will benefit them as Auditors immensely as the quality of the data they have will be assured. He pointed out that the data they are currently receiving from the Accountant General or the ICT, are datasets that are tracked by the ICT Department. He added that once the ALC software is installed they will be in position to get the data directly from the database and the integrity of the data will be protected. He reiterated that the objective of the training is to empower the participants in the use of ACL to enable them navigate through data and do the necessary analysis to support the audit conclusion. Speaking on how they will monitor the use of the software once purchased, the Director Kandeh Sesay said they will first of all target the Coordinators to ensure that the software is installed on their computers. He also said they are in the process of setting up the quality assurance Department making it clear that at the end of every Audit, they will do quality assurance to make sure that the right procedures are followed. He stressed that they will be going round the MDAs to ensure that once the software is installed the Auditors are making use of it.